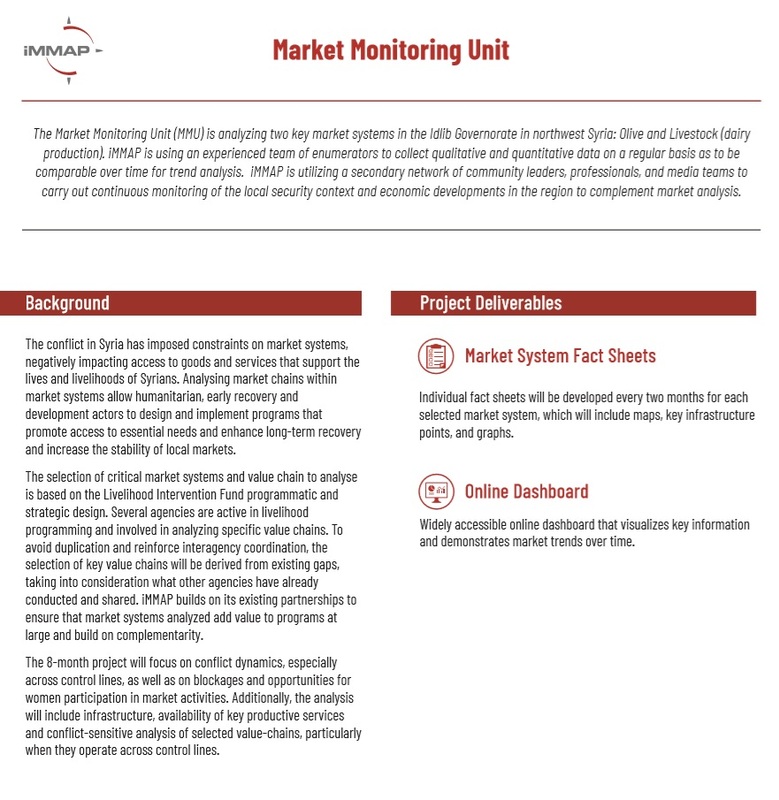 The Market Monitoring Unit (MMU) is analyzing two key market systems in the Idlib Governorate in northwest Syria: Olive and Livestock (dairy production). iMMAP is using an experienced team of enumerators to collect qualitative and quantitative data on a regular basis as to be comparable over time for trend analysis. iMMAP is utilizing a secondary network of community leaders, professionals, and media teams to carry out continuous monitoring of the local security context and economic developments in the region to complement market analysis.